Um, where do I even begin right now? Challah French Toast Sticks made with mini whole wheat challah rolls (this brand is our favorite) are a serious game changer. 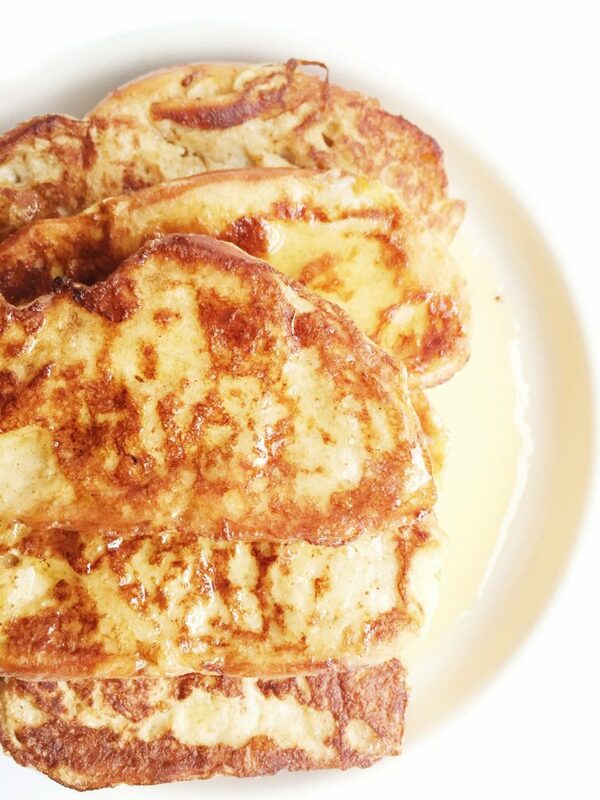 There are two things that are key to making amazing french toast: 1) the bread 2) the type of milk. Jord’s favorite type of french toast is made with challah, so when I told him I wanted to make some french toast sticks, he said “if you don’t use challah, is it even french toast?” and he was right. 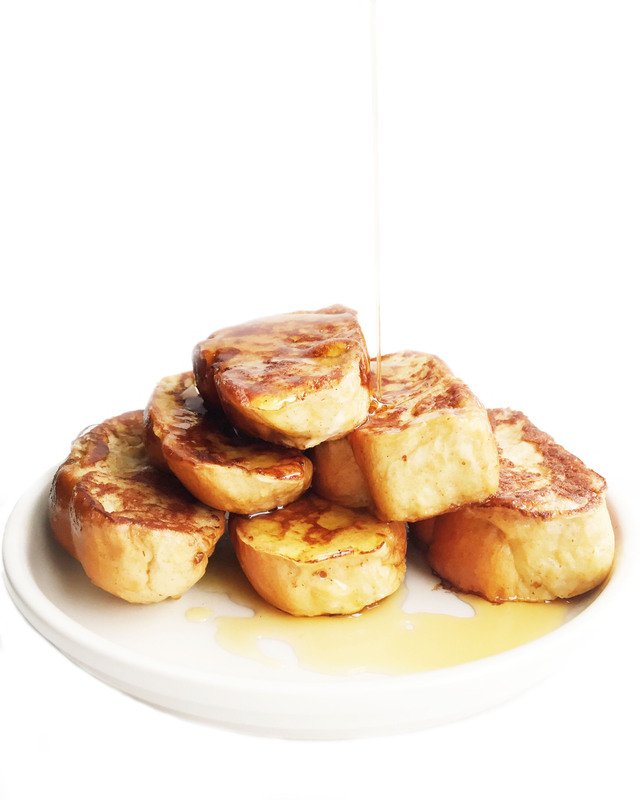 Challah is the best bread for french toast. It’s fluffy, soft, the “crust” is barely crust-like and it is straight up AMAZEBALLS. The milk is also key. You want something creamy and sweet to add that boost of flavor to the mixture. 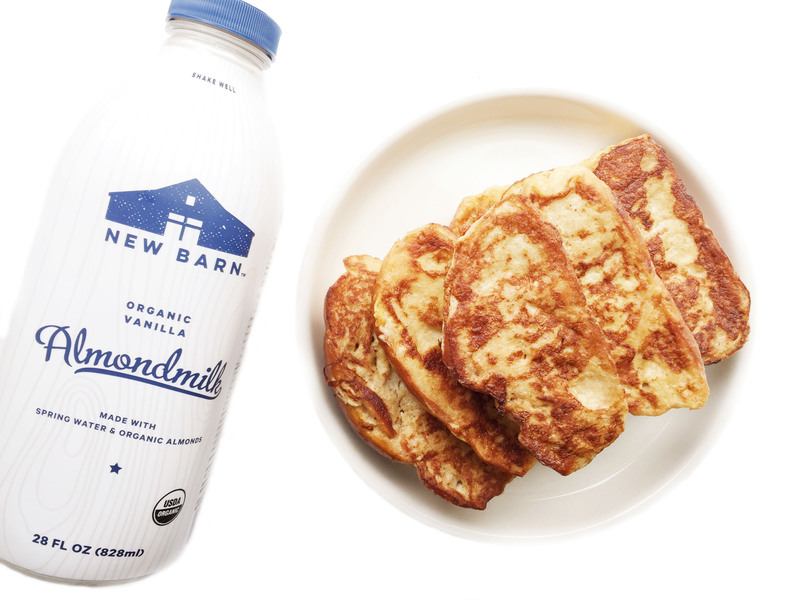 For my Challah French Toast Sticks, I used New Barn Organic Vanilla Almond Milk. I first spotted this gem in my local Whole Foods and was amazed by how pure and delicious it is. There are no weird chemicals in it. They use all organic ingredients which is a huge plus in my book, and they do not use carrageenan (a binding chemical you should avoid when possible). New Barn has three flavors of almond milk: Original, Vanilla and Unsweetened. I have tried each and everyone and you cannot go wrong with any. Once I started using it in my recipes, I fell in love. It adds so much more flavor and creaminess to my oatmeal and dipping cookies in it is a serious game changer. 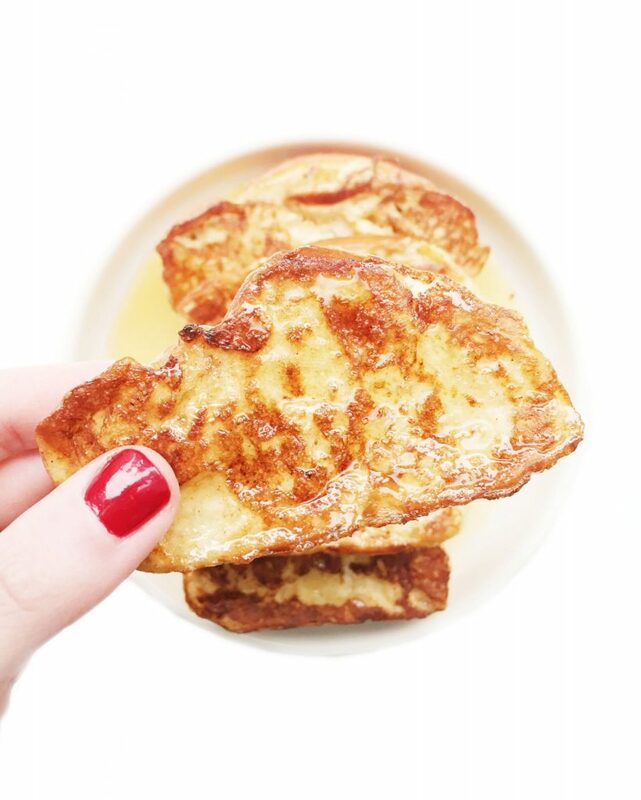 These Challah French Toast Sticks are ready in less than 15 minutes and only call for 5 ingredients. SO easy, I can’t even handle. Slice the challah rolls vertically to make the "sticks"